In the early hours of the 8th of July 1985, the Gardaí were called to a house outside Clara in Co. Offaly. There had been an incident. A priest was dead, lying on the floor of the Flynn’s bedroom. There were clearly signs of violence and a large bloodstain on the carpet. But the question of what really happened to Fr Niall Molloy that night remains unanswered to this day. As the story broke the following day the whole country was agog and rife with rumour. Had the owner of the house – Richard Flynn, caught his wife Therese and Fr Molloy in a compromising position? Therese & the Priest were childhood friends and business partners – Was it an argument over money? Richard Flynn told Gardaí that he had been viciously attacked by his wife and the Priest, in a row over drink. He said he acted in self-defence, striking them both, the priest at least 3 times. He was charged with manslaughter and with causing actual bodily harm. The case seemed to have the all ingredients of a salacious paperback crime novel. A true 1980’s Irish Scandal. Richard Flynn’s trial which was expected to last several days was over in just 3½ hours! The defence counsel claimed it was possible that Fr Molloy died due to heart failure and the presiding judge, Frank Roe, directed the jury to bring in a verdict of not guilty. Flynn was acquitted on all charges. The family of Fr Molloy outraged at the outcome, started a campaign through the media and political lobbying. Great public disquiet was aroused & there were calls for a public inquiry. This was not to happen but Alan Dukes, then Minister for Justice, promised that the coroners inquest would be a ‘sworn public inquiry’. Where the trial took only hours the inquest took place over 2 days. All the evidence available was thoroughly sifted. Richard and Therese Flynn both took the stand during the inquest but Richard Flynn couldn’t remember anything that happened after he had struck the priest and Therese Flynn remembered nothing of a fight, nothing at all about what happened. The jury deliberated for just thirteen minutes before coming back with the verdict sought by the Molloy family laywers. 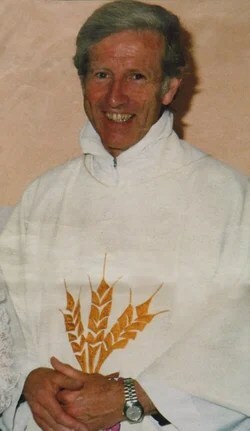 They found that Fr Niall Molloy died as a result of head injuries. Scannal looks back at this amazing story which had the whole nation talking. Who was Fr. Niall Molloy and what was the relationship between him & Therese Flynn – with whom he bought and sold horses & land. The intriguing events leading up to the killing and following it – Missing wills and dodgy insurance claims added to the mystery and whiff of scandal which never really went away. Years later even “The General” – Martin Cahill played a walk-on part in the debacle when he stole the case files from the offices of the DPP – giving rise to the publication of sensitive documents in the Sunday Independent by the late crime journalist – Veronica Guerin..